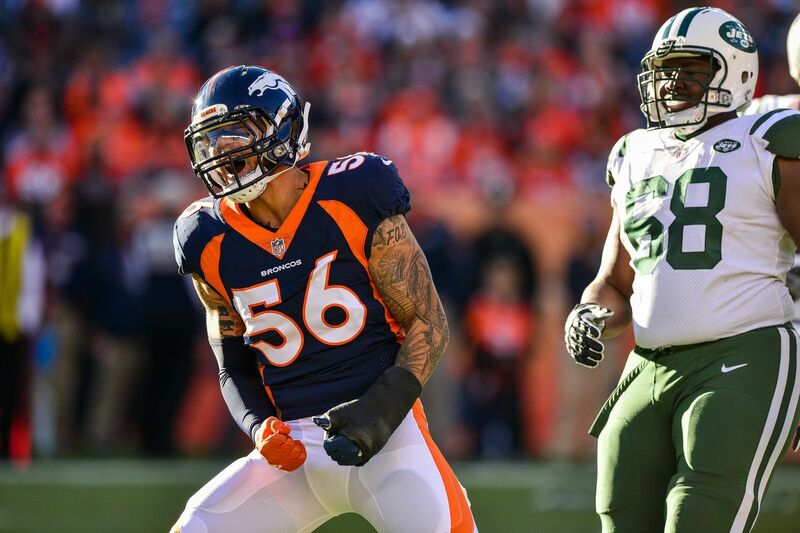 Source: the Colts hosted former Broncos OLB Shane Ray for a visit. More search for pass rush help after adding Justin Houston. Of course, the Colts recently signed ex-Kansas City Chiefs sackmaster Justin Houston on Thursday. However, in today’s passing league, a team can never have enough pass rushers. Originally selected by the Denver Broncos as a first round pick in 2015, the 6’3”, 245 pound pass rusher, Ray, saw initial success with 8.0 sacks during his sophomore season in 2016. However, Ray never lived up to his draft billing and the first round expectations that come along with it in Denver. He was groomed to be the long-term successor to former Broncos pass rushing great DeMarcus Ware, but instead, the Broncos seemingly moved on from Ray as soon as last offseason when the team selected fellow pass rusher Bradley Chubb with the 5th overall pick in the 2018 NFL Draft. The 25 year old Ray finished with 10 tackles, 1 sack, and a forced fumble in 11 games for the Broncos last season. Per Pro Football Focus (subscription), Ray received a +58.2 grade overall, which included a +61.8 pass rushing grade. He has 14.0 sacks, 94 tackles, 15 tackles for loss, 33 QB hits in 49 career games (15 starts). Having once run a 4.64 forty time and posted a 33 inch vertical, Ray has some of the physical attributes that scouts love to see from a first round pick—hence his early draft selection. The Colts and specifically general manager Chris Ballard have had success taking a chance on former top picks as reclamation projects such as Pro Bowl tight end Eric Ebron and former outside linebacker Barkevious Mingo. Given his draft pedigree and with youth still seemingly in his favor, Ray could be a worthwhile gamble for the Colts—especially on a team friendly deal. It’s rare to find young impact pass rushers in free agency, and while Ray hasn’t found considerable success since 2016, it’s possible that there could still be some untapped potential left in him. A change of scenery might very well do him good. Without lofty expectations placed upon him and transitioning from a 3-4 defensive scheme as an outside linebacker to a 4-3 defensive end (with his hand in the dirt), perhaps Ray’s best football could still be ahead of him with the Colts. If nothing else, he makes for an intriguing young, ‘rebound’ rotational pass rushing candidate for the Colts. If added, Ray gives the Colts another speed pass rushing threat and also the extra ability to keep all of their pass rushers fresh throughout the course of a game—rotating in and out. It’s a situation well worth monitoring to see if Ray ultimately signs with Indianapolis.